November is National Adoption month and I would strongly encourage anyone that has ever been thinking about adoption to seriously consider it. My wife and I have been doing foster care for over 11 years (80+ kids to date) and never intended to adopt as we 3 bio kids. It's funny how the right kid "finds" you. We got Kira straight out of the NICU with a ton of special needs as she was 3 1/2 months premature. With all of her physical problems she's still our favorite (we joke with our bio kids that we love her more than them). 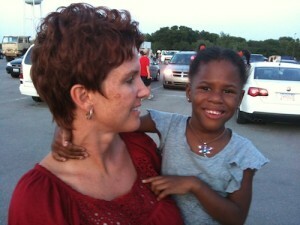 Her adoption was final on September 12, 2008 and we plan to celebrate it each year. For more info you can contact me or check out the Child Welfare Information Gateway website. Remember, you don't have to be perfect to be a perfect parent. Sometimes just showing up is a huge improvement in these kids' lives.